There’s no surprise about the appeal of Greek Life for many young women starting college. We’ve all grown up watching iconic movies like Animal House, Revenge of the Nerds, and American Pie Presents: Beta House that presents sorority and fraternity life as one endless party replete with fun, laughter, friendship, and good-natured rivalry. But as many people come to find out, there are pros and cons of the Greek Life, so before you join that sorority, it might be a good idea to weigh them. Sisters for a Lifetime. Joining a sorority means you will develop friendships that last a lifetime. They will become your confidantes, your travel companions, and your go-to for just about every adventure. From sharing living space to sharing ceremonies and rituals in your coordinated sorority dresses, you’ll begin to realize just what it means to be inseparable. As a member, you will not only get a big sister, but you will also get an entire family to surround you. Remember that with any family, there are those that become our besties and others that are difficult to deal with on a regular basis. Academic Support Group. Joining a sorority comes with an understanding that Going Greek means you are also Going Academic. You will be expected to get good grades, and, as a result of the sisterhood, you inherit a ready-made academic support group interested in helping you succeed. Despite what the movies portray, studying and maintaining a respectable GPA is part of the expectations of a sorority. Research has shown that the criticisms of Greek life as antithetical to the mission of academics on college campuses is unfounded, so you will want to get into an academic groove. Social Identity. Perhaps you were not aware, but 80 percent of US Presidents since 1900 were members of Greek organizations during their tenure in college. Additionally, 85 percent of Fortune 500 executives and 40 of 47 Supreme Court Justices since 1910 were members of a fraternity. Participation in social structures like sororities provides students with valuable knowledge that will affect their social life after college. Membership in Greek organizations affords young women a social identity and a context that helps to develop leadership skills. Philanthropy. Another thing often hidden in Greek life is that sororities and fraternities often instill a culture of service and humanitarianism. While social involvement varies from organization to organization, as well as from chapter to chapter, almost all sororities are involved in some community service endeavor. Many chapters highlight philanthropic activities as a key component of Greek life, allowing members to showcase their interests and strengths individually and collectively. Many Greek organizations have taken philanthropy to the next level by raising large amounts of money for charitable causes and doing other things to significantly benefit their communities. Diversity. Greek organizations are not the homogenous societies they have been in the past. While movies may still portray sororities and fraternities as houses of “like-minded” individuals like all the football players or all the cheerleaders, most organizations make a conscious effort to diversify their membership with regard to race, sexuality, gender identity and socio-economic backgrounds. While there is still work to be done in this area, finding and rushing well-rounded houses is a huge benefit to members. It allows sorority members to participate in ongoing discussions about diversity, introduces them to a wide range of individuals from various background, and assists in the development of discourse skills required for success in the world beyond college. Time Commitment. 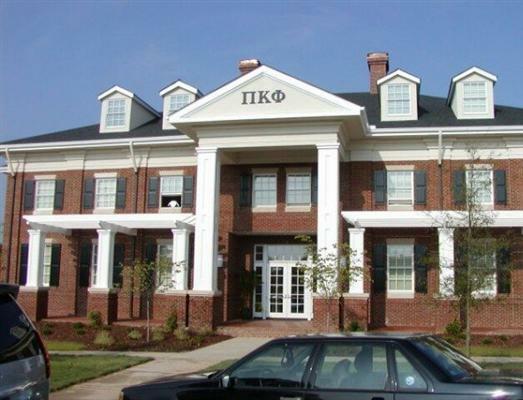 Commitments to your Greek sisterhood can seriously cut into a student’s time. During the pledging process, nearly all hours outside of class attendance are spent in meetings, completing tasks, or being present in the house. With all of the new-found friends, members can get overwhelmed with the need to contribute to social media, join sisters on a McDonald’s run, or attend the many events that are planned and require your participation. Your time management can be seriously tested, so if it’s not one of your strengths, you may need to consider how you will compensate. Money Commitment. There is also a monetary commitment. The price of membership can be one of the largest expenses in a college budget next to tuition, with a single semester’s membership costing as much as $1000 for some houses. Not only membership dues, but other incidentals like membership pins, gifts for your big and little sisters, formal wear, items for mixers, and t-shirts can raise the cost of a college education by as much as 25 percent. Deciding whether or not to join a sorority can be a weighty decision and should not be made lightly. Doing your research on the Greek organizations on your campus is one way not only to choose the house most clearly aligned with your interests and needs but also to determine whether going Greek is right for you. What are some concerns you have about joining a sorority? Feel free to share your ideas here.